Description: Big Rig Jig is constructed from two discarded tanker trucks. The work serves both as a sculpture and an architectural space: visitors may enter the lower truck, climb through the tankers, and emerge through a portal at the top. The rear axles of the upper tanker serve as a viewing platform, forty-two feet in the air. 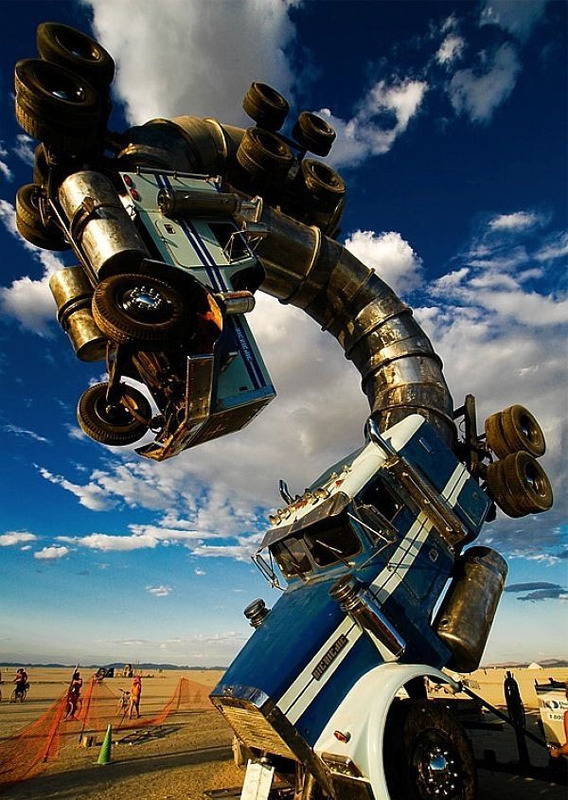 The sculpture was made possible by a grant from Burning Man, as well as generous gifts from Peter and Gwen Norton, Todd Koons, and numerous donations received over the internet. It has been widely covered in news media around the world.